Home Business Analytics BML Munjal University launches MBA in Business Analytics to create future leaders! 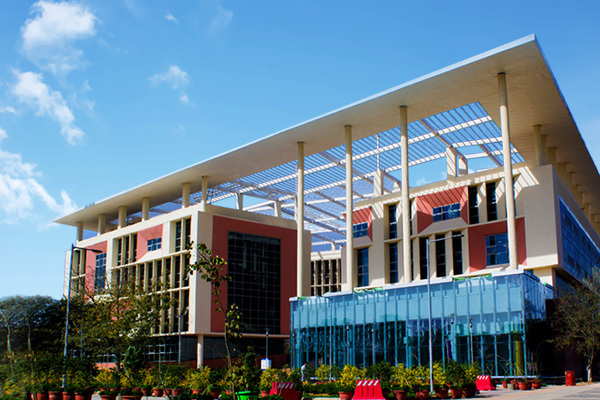 BML Munjal University launches MBA in Business Analytics to create future leaders! The need for data science talent is increasing by the day. While this demand is increasing, the supply of the talent with the right skills is still catching up. According to the famous McKinsey report, by 2018 the United States alone will experience a shortage of 190,000 skilled data scientists, and 1.5 million managers and analysts capable of reaping actionable insights from the big data deluge. You can imagine what the global shortage would be! In order to address this need of managers capable of reaping actionable insights for business, various institutes are trying to come up with new programs to prepare leaders for tomorrow. One such program was launched by BML Munjal University (BMU) recently. As usual, we decided to take a closer look at the program to make sure our audience gets the right information to make their career choices. So, I reached out to the program director with my questions and here are the excerpts from the discussion. KJ: What was the idea behind launching an exclusive MBA in Business Analytics? What do you intend to accomplish? ANSWER: Advancement of technology is impacting our world and today’s economy. It is also diverting researchers from academia and industry to fulfill the gap and create a bridge between theory and practice with specific expertise in analytics. Business analytics provides skill based knowledge to students and prepares them to deal with the current world of business which as we all know is a very dynamic field. Nowadays, a massive amount of data is generated from different business processes belonging to diverse business environments. For the useful information extraction from huge, overloaded, and variety of unstructured data there rises a demand for strategic and skillful managers for better decision making. This course will prepare students in different domains of business analytics that uses data for statistical and quantitative analysis, predictive modelling, prescriptive analytics, and content based analysis etc. This course will provide a platform for students which combine both theory and practice according to the requirement of industry. KJ: How is your course different from other business analytics programs in India? ANSWER: Nowadays, business analytics is a need not only for Decision Science and Information System, but other specific areas, like Marketing, Finance, HR, Accounts, Communication and Strategy etc. have a strong demand for these skills and expertise. We are focusing on individual areas and will provide to-the-point expertise to the students so that they can cope up with a number of specific business needs. KJ: Do you think that students enrolling in this course will have an edge over students of other courses? If yes, how? ANSWER: Of course, if a student possesses proficiency in Business Analytics (BA) apart from other skills then they can easily fit themselves into the current business scenario. Students will be more focused because with their expertise they can target specific goals and they will be preferred by the industry. KJ: Who is the target audience of this program? ANSWER: In this program, we are targeting students who have the requirements for pursuing a postgraduate program and they should have additional prerequisites such as knowledge of basic statistics, mathematics, and basic computers skills. We are also focusing on some students from industry who have the required analytical skills and practical exposure. Executives and Industrialists (Who have the above undergraduate academic requirements coupled with work experience). Experience is a desired qualification. KJ: What is the structure of the program – total classroom time, expectation from the candidate and the areas covered as part of the course? KJ: What is the teaching methodology adopted for this Program – Online / Offline / Hybrid? ANSWER: The curriculum for MBA in Business Analytics has been designed in association with IBM. IBM has established an IBM Business Analytics Lab at the BMU campus, through which they are providing industry relevant software and training on Predictive Analytics using IBM SPSS, Descriptive Analytics using IBM Cognos and Big Data & Analytics using IBM Info Sphere Big Insight etc. KJ: How much of the program is devoted to Industry Interaction and Live Project? ANSWER: Approximately 20% of the program is hands-on and project based. In these modules, professionals working in analytics and big data will guide students on how to deal with real-world problems not only from a business point of view but also on basic social issues incorporating live data. We do have empirical study as a course where students are involved in live research projects for enhancing their research thinking and analysis capabilities. KJ: Is there a capstone project / industry project at the end of the course? If yes, how much time are students expected to devote on it? ANSWER: Our students compulsorily go for the summer practice school where they work under a company and work on a live project. This summer internship will take 8 weeks. After completion of projects, students have to submit their report and which will then be graded by assigned instructors from industry and the school. KJ: Tell us about the Profile of the Faculties of this program. Dr Gopal Chaudhuri has taught at several reputed Institutes in India and abroad including Indiana University at Indianapolis, USA, IIM Ahmedabad, IIM Kozhikode and IIPM Kolkata before joining BMU. He was a visiting faculty seconded by the Government of India at Asian Institute of Technology, Bangkok. He served the Thomson Consumer Electronics at Indianapolis as a Statistical Consultant. Dr Chaudhuri obtained his M Stat from Indian Statistical Institute and PhD (Statistics) from Indian Institute of Technology Kanpur. He teaches courses in Business Statistics, Operations Research, Six Sigma, and Statistical Methods in Data Analysis and conducts MDP on Advanced Data Analysis for Marketing Decisions. His research area includes Reliability Statistics and Statistical Applications in Management. 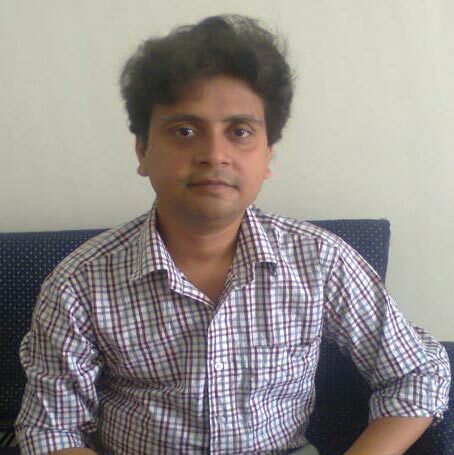 He has published 25 research papers in national and international journals of repute. He was awarded a US Patent for his contribution to the System Reliability Prediction in 2003. He is featured in the Marquis International Who’s Who published in the USA. Dr Shrawan Kumar Trivedi completed and submitted his research as a Fellow (FPM) in Indian Institute of Management Indore. 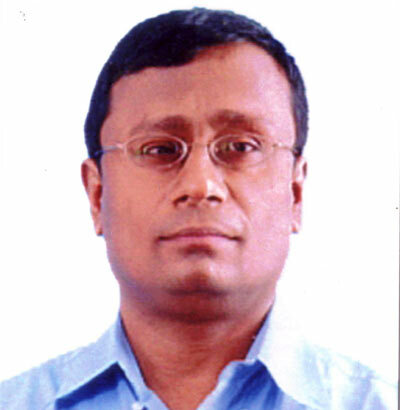 Prior to this, he did his M.Tech (IT) from Indian Institute of Information Technology Allahabad, M.Sc. (Electronics) from University Institute of Technology, C.S.J.M. University Kanpur and B.Sc. (PCM) form C.S.J.M. University Kanpur. He has expertise in Data Mining, Text Mining and Big Data. His area of interest includes Business Intelligence and Analytics, Management Information Systems, Enterprise Resource Planning, Knowledge Management, IT Strategy etc. He also has expertise in several software tools like SPSS, SAS, MATLAB. In addition to this, he published his research papers in reputed international journals and presented his research at many international conferences. In his FPM, he worked on Text mining and developed some new algorithms for classification. His research interest includes Text Mining, Data Mining, Big Data, Inter Organisation Systems and Applications like Spam Classification, Sentiment Analysis, Credit Scoring etc. Dr. Anil Kumar completed his PhD in Management Science from Indian Institute of Information Technology and Management, Gwalior. 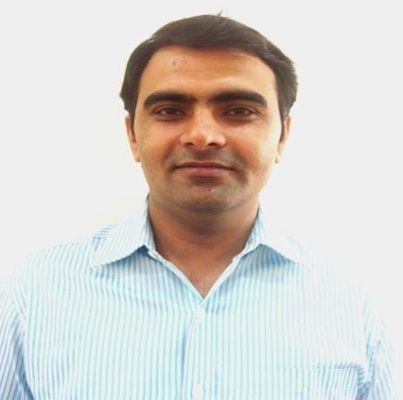 He did his MBA from ICFAI University, Dehradun, M.Sc. (Mathematics) from Department of Mathematics (Kurukshetra University, Kurukshetra) and Graduation in Mathematics-Hons from University College (Kurukshetra University, Kurukshetra). He also qualified UGC-NET in Management. He is actively involved as a resource person of Faculty Development Programs (FDPs) and has more than 25 research papers/book chapters and 2 books to his credit. His books include Fuzzy Optimization and Multi-Criteria Decision Making in Digital Marketing (Ed.) and The Economics of Small Scale Industries in India: The Role of Private Equity and Debt Market. He is a member of many scientific societies like International Society on Multiple Criteria Decision Making (ISMCDM), Marketing Science Institute (MSI), American Marketing Association (AMA), and Society of Information Sciences (SIS) etc. He has his expertise in Marketing Analytics, Mathematics and Statistics for Management, Multi-Criteria Decision Making, Fuzzy Multi-Criteria Decision Making, Marketing Research, Research Methodology, Business Analytics, Quantitative Technique, Marketing Management, and Consumer Behavior. Mr. Saroj Kanta Jena has over 17 years of experience in teaching various Computer Sciences and Engineering courses, particularly in the fields of Data Structures, Database Management Systems, and Data Mining, Software Engineering and Operating Systems in both the undergraduate and postgraduate levels. He also has teaching experience in Business Mathematics, Quantitative Techniques for Managers, Business Analytics, Operation Research and Management Information Systems for undergraduate and postgraduate courses of management studies. His teaching interests also include Advertising Management and Consumer Buying Behavior. KJ: How about placements? Would placement support be available for this program? Customer Interface Expert with Customer Analytics etc. Our focus is to provide skills and expertise to students so that the respective skill based profile can be achieved by them. At BMU, we want to maintain a good placement team specifically for this area so that we can target related domain companies. Our potential recruiters are Infosys, TCS, HCL Technologies, Cognizant, IBM, Dell, Wipro, Accenture, SAS etc. I thank the faculty and the program Director at BMU for spending time in providing us these useful details. If you have any questions / queries about the program, feel free to write them in comments below. We will make sure, we get an answer to them! You can get more details and apply here. You want to apply your analytical skills and test your potential? Then participate in our Hackathons to compete with many Data Scientists from all over the world. Inadequate work experience of the faculty!. Have not heard of the university yet.